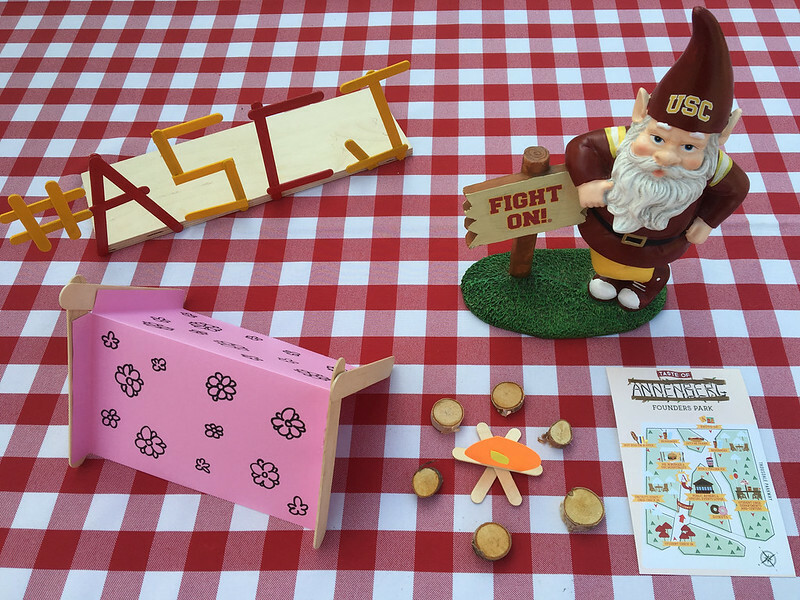 A Camp Annenberg theme awaited first-year students at Taste of Annenberg on August 18, 2016. Updated Aug. 24, 2016 4:59 p.m. Here is a look back at the 2016 Taste of Annenberg New Student Assembly and Involvement Fair held this past August 18 at Founders Park and the Annenberg Auditorium. Incoming Annenberg students enjoyed the first course of their USC careers at the annual event, hosted by the school's Special Events team.